When in San Francisco, make a side trip to see Wine Tours & Tastings in Napa, approximately 1h 10 min away. 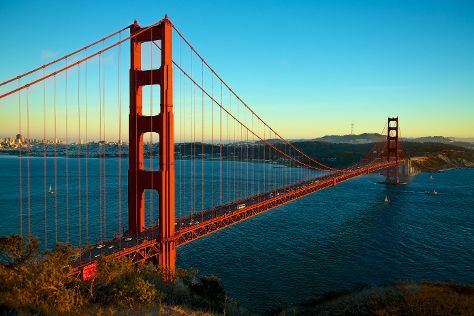 The adventure continues: take in the views from Golden Gate Bridge, tour the pleasant surroundings at Golden Gate Park, make a trip to Lombard Street, and get curious at The Exploratorium. To find where to stay, maps, ratings, and more tourist information, refer to the San Francisco trip builder. If you are flying in from Canada, the closest major airports are San Francisco International Airport, Metropolitan Oakland International Airport, Norman Y. Mineta San Jose International Airport and Travis Air Force Base. August in San Francisco sees daily highs of 26°C and lows of 17°C at night. Finish up your sightseeing early on the 11th (Fri) so you can travel back home.